Garth Knox is participating in the Creative Fellowships Initiative in partnership with School of Music. Garth Knox and The Six Tones will be performing at the Harry Partch Festival on Friday, May 11. In 1983 he was invited by Pierre Boulez to become a member of the Ensemble Intercontemporain in Paris, where he had the chance to do much solo playing (including concertos directed by Pierre Boulez) and chamber music, touring widely and playing in international festivals. 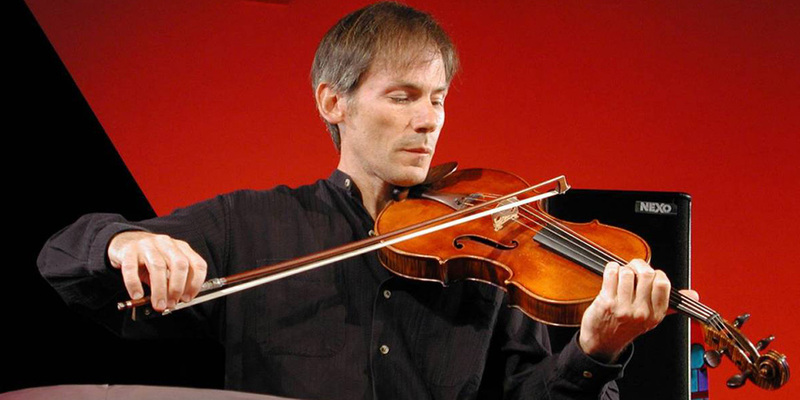 In 1990 Garth Knox joined the Arditti String Quartet, playing in all the major concert halls of the world, working closely with and giving first performances of pieces by most of today's leading composers including Ligeti, Kurtag, Berio, Xenakis, Lachenmann, Cage, Feldman and Stockhausen (the famous "Helicopter Quartet"). The presence at UW of the complete set of original Harry Partch instruments not only provides unique opportunities to present authentic performances of Partch’s music played on his own instruments, but also makes possible an extension of their repertoire and the creation of new pieces which explore their unrivalled sound possibilities. Garth Knox’s pioneering work on extending the range and repertoire of the viola d’amore, one of the most colourful and exotic members of the string family, takes on a new dimension in the confrontation and exchange with the Partch instruments. This project involved exploring and combining the modern string resonances and micro tuning possibilities of one group of the Partch instruments with the expressivity and baroque grace of the viola d’amore and it’s sympathetic string resonance. The series of residencies culminated in the composition and performance by Garth Knox of a piece specifically written for viola d’amore and five Partch instruments called ‘Crystal Paths’ in May 2018.